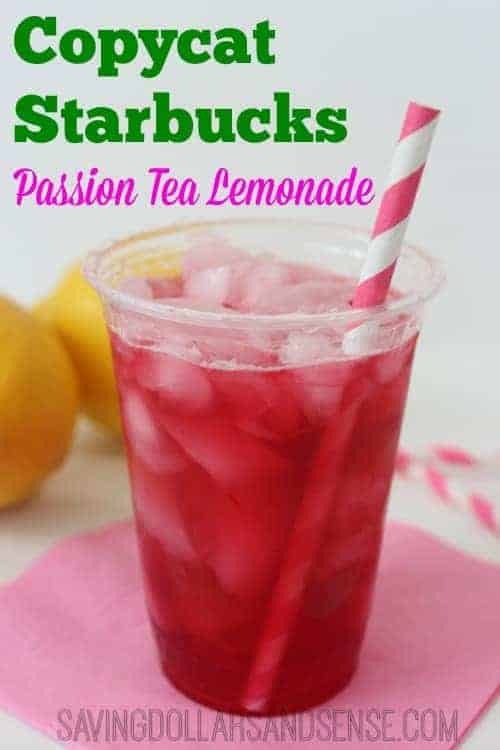 When you are looking for a refreshing drink this summer, try making this super easy to make Copycat Starbucks Passion Tea Lemonade Drink. I am such a fan of making copycat recipes like this Copycat Starbucks Iced Cinnamon Dolce Latte or this Copycat Sonic Limeade recipe. 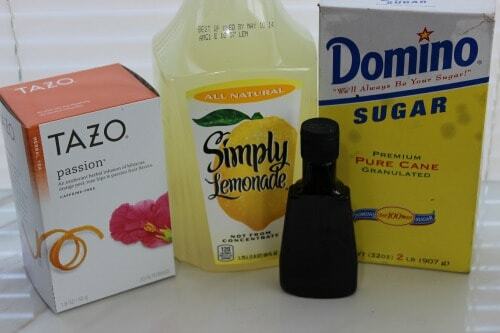 Today I have a fun way to make ordinary lemonade so much better! Just so you know there is no vanilla in the Starbucks passion tea lemonade, just classic syrup (aka simple syrup), so that’s just the tea which is steeped for only 5minutes and half lemonade, with ice and the classic syrup… I work at Starbucks. 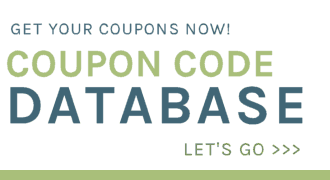 Kirsten, thanks! Is Simple Syrup something that is available to the public or just something Starbucks has? I’ve never heard of it before? Simple syrup is a common recipe used for drinks and desserts where you want to add sugar but you are worried about it dissolving. Add one cup of sugar and one cup of water to a small sauce pan. Heat while stirring until the sugar is fully dissolved. Simmer for a few more minutes. Pour into a container and let cool. Simple syrup is regular white sugar that has been dissolved in boiling water and cooled down. It is usually used in cold drinks since the sugar is already dissolved and mixes in easily.